it was back in 2001, while in Amsterdam, when i first visited Albert Heijn, a Dutch supermarket chain. amongst the plethora of teas (Pickwick is a popular brand), cheeses, Indonesian sauces/products and boxes of sprinkles that the Dutch put on toast for breakfast, i found the cookie aisle. i thank the food gods for their impeccable timing, because if not for the man blocking my way, i may have walked right past the stroopwafel section. here he was, snatching up a whole basket’s worth of packages, literally clearing out one of the shelves (imagine something like a scene from the game show Supermarket Sweep, but slowed down). i picked up one of the few packages left after he walked off, and it was still warm, with a scent of caramel. fresh baked cookies of some sort? sold! it was love at first bite. 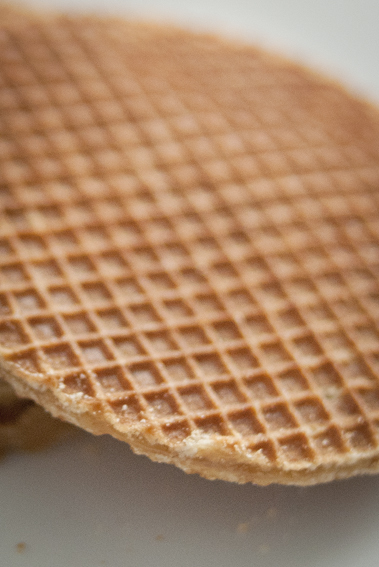 the chewiness of the cookie, the buttery sweet caramel in the middle…courtesy of some awesome friends returning from a trip to Amsterdam, i had a few stroopwafels recently after a long hiatus. i was reminded of how dangerously addictive they can be! 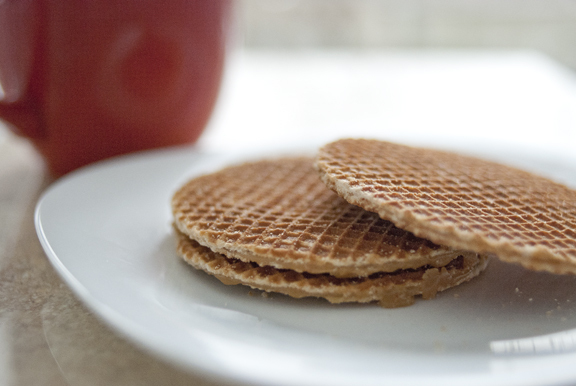 over the years, i have seen stroopwafels gain in recognition across the pond, finding space on some supermarket shelves here (maybe just one facing, definitely not an entire shelf or two). 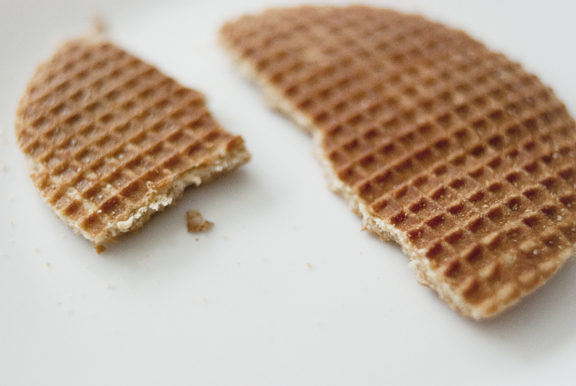 the quality may vary with the brand and the timing of a purchase (freshness level) but definitely, no packages will be warm and freshly baked like in the Netherlands. 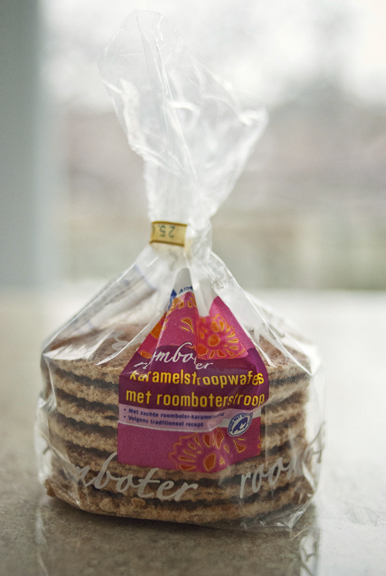 if you are interested to check them out and won’t be visiting the Netherlands anytime soon, i have seen some at supermarkets such as Food Basics and Loblaws. more predictably perhaps, you can try the Dutch store and cafe Niemeyer Imports in Richmond Hill.